Reviewed by Yolanda Smith, B.Pharm. A doctor–patient relationship (DPR) is considered to be the core element in the ethical principles of medicine. DPR is usually developed when a physician tends to a patient’s medical needs via check-up, diagnosis, and treatment in an agreeable manner. Due to the relationship, the doctor owes a responsibility to the patient to proceed toward the ailment or conclude the relationship successfully. In particular, it is essential that primary care physicians develop a satisfactory DPR in order to deliver prime health care to patients. lesser risks of medical misconduct. Doctor empathy: Empathy is vital to ensure the quality of DPR. This enables the physician to understand the symptomatic experiences and needs of individual patients. Studies have suggested that physician empathy improves the therapeutic effect and the patient’s quality of life. Trust: Trust in doctors allows patients to effectively discuss their health issues. Development of trust enables the patient to comply with the doctor’s guidance, which consequently results in improvement of health. Informed consent: This is based on the moral and legal arguments of the patient’s autonomy (independence in decision making). In relation to trust, the physician needs to be honest with the patient and his family to provide a genuine assessment of favorable and unfavorable outcome probabilities, along with the suggested therapy. burdening the patient with personal information. Patients, in turn, need to avoid frequent phone calls and unscheduled visits to their doctors, as a sign of respect for their time. There are four models for approaching DPR. Paternalistic approach: In this model, the doctor generally dominates the interrogation and the patient is expected to comply without questioning. Here, the physician acts as a guardian, because he/she independently promotes the patient’s health condition without the latter’s consent. This autocratic model of DPR is usually advocated in emergency situations, as obtaining consent from the patient in such a situation might alter his medical condition. Informative model: This is also called the consumer model. Here, the physician acts as a proficient technical expert by defining appropriate factual information about possible treatments provided for the patient and implementing the patient’s selected intervention. In this model, the patient is in charge of the decision making for his medical condition. This kind of model is justified in a patient-centered medical location. Interpretive model: In this model, the physician plays an advisor by explicating and interpreting the appropriate medical status of the patient. The physician acquires the consent from patient and uses the patient’s decided intervention. Deliberative model: In the deliberative approach of DPR, the doctor is a teacher or friend toward his patient. The doctor enunciates the treatment measures and convinces his patient of the more valuable medical measures. The patient’s consent is also important for implementation of treatment. neglecting a patient from prompt professional care without making arrangements for the continuance of such care (patient abandonment). Chronic health: Physicians who communicate well and treat patients with chronic illnesses fairly improve the patient’s ability to manage their disease independently with adherence to the advice of doctors. For example, patients monitor their blood pressure and adhere to medical regimens as per the advice of the doctor to manage health disorders such as hypertension and diabetes. Psychiatry: DPR helps in good therapeutic outcomes in the field of psychiatry. The psychiatrist–patient relationship enables psychosomatic patients to overcome the mental symptoms through better rapport with them. 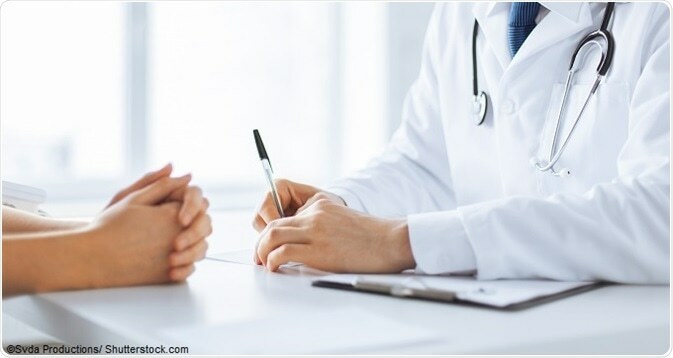 Studies have revealed that the psychiatric symptoms in HIV patients are treated by retaining patient’s hope and giving adequate data regarding the disease and treatment. Nowadays, in some places, practices like corruption in the health management industry, inequity in healthcare delivery, and mushrooming of health insurance have altered the relationship between the doctor and the patient. Overcoming these factors will help to restore this decaying relationship.